Juventus blanked Sassuolo 3-0 with Portugal’s Cristiano Ronaldo scoring one of the goals, contributing an assist and leading the team to victory. Juventus blanked Sassuolo 3-0 with Portugal’s Cristiano Ronaldo scoring one of the goals, contributing an assist and leading the team to victory. 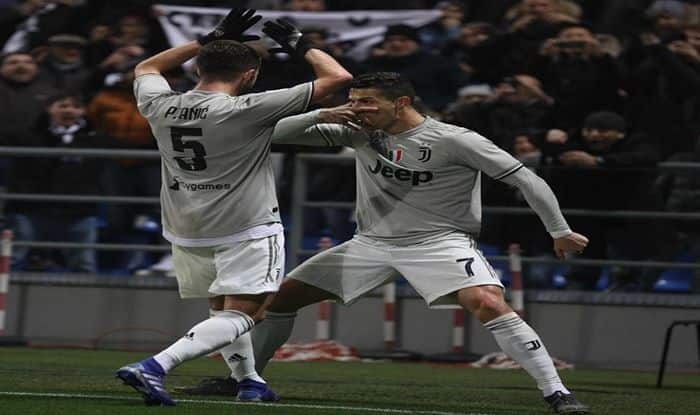 What caught the attention of the fans was right after scoring, he reinvented his traditional celebration move and changed it to one which also includes a modified version of Dybala’s face mask gesture to his move. After scoring the 20th goal of the season, Ronaldo leads the table of strikers with Juventus that is getting its house in order to go up against Atletico Madrid on February 20 at Metropolitano Stadium in the Champions League quarterfinals. Juventus was eliminated in the Italian Cup competition with its stunning quarterfinals loss to Atlanta and only managed a 3-3 draw with Parma in its earlier league contest.